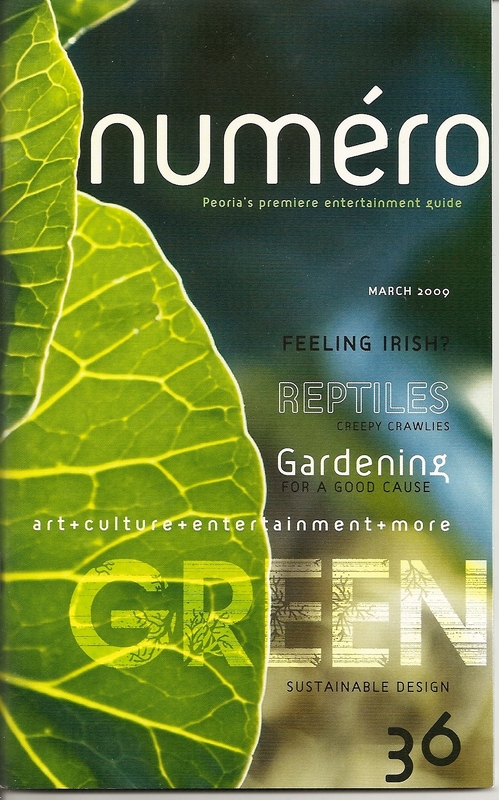 The March edition of numéro – Peoria’s premiere entertainment guide features several green articles including an editorial on going green from professional development coach Dina Emser, an article on sustainable design that includes a list of LEED projects in the area, a list of 10 simple steps to going green around the house, and a feature on a community garden in Washington. Numéro is a free publication available in central Illinois at numerous locations and also is availble for home delivery through a subscription. For more information, see http://numeropublishing.com/index.html.